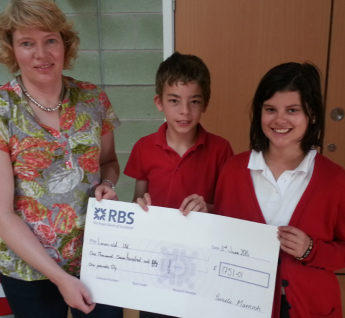 Carnegie primaty school p6 raise £1750 during a year of hard work with concerts bag packing and much more! We are so grateful. Every penny towards keeping the hospital running!